Whether you grew up wearing glasses or you’ve only recently started wearing them, glasses play an integral role in how we are perceived, and how we perceive ourselves. The glasses you wear speak a lot about you. Swap out your glasses for your contacts for a day and count how many times people either tell you that you look different or even outright not recognize you. You’ll be surprised how many of your friends and co-workers have difficulty recognizing you. Forget "“you are what you eat”, you are what you wear. And we all want the world to see us in a certain way. Everybody craves to be unique. Whether you want to appear youthful, sophisticated, focused, business-minded, conservative, or just more intelligent, the right frames confer a powerful positive affect how you the world to perceives you. With the right eyeglasses, you can create the image you want people to see. The most crucial thing to do is identify the right eye glass frames that echo your personality and lifestyle. This guide will help you to identify which frames fit your personality. Because our eyes naturally degrade as we age our first tip is for the majority of glasses wearers out there; even if you’re a younger glasses-wearer, take heed —we all get there eventually. Being older doesn’t mean you ought to wear old-fashioned glasses! If you want to look younger, do yourself a favor and your experienced appearance with an injection of fresh style! We aren’t saying that you ought to be ostentatious or gaudy, but seriously: get rid of those clunky metal frames that cover up your face. It’s high time you reclaim your youthful looks! To achieve a youthful face, you need to wear glasses that uplift your face. Good examples of frames that achieve this are upswept rectangles for men and cat-eye frames for women. The best colors to achieve a youthful look are deep browns, gun metal, and burgundy for men. Women are better off with light shinier hues. For that youthful appeal, we recommend that you avoid bifocals and trifocals. Instead, go for progressive lenses which provide clear vision for both close viewing and as far as your eyes can see. And, because they’re so modern, progressive lenses also give older adults a more youthful look. There is no better time to develop your own identity than during highschool and college. It is at this time that most people mature and show off their own style. Without being confined to a work environment, it’s possibly at this time in our lives that we have the most freedom to choose what we wear and how we present ourselves to the world. Students, young people (and lets be honest, even the young-at-heart) can go with any colors and shapes. Maybe you want to look retro and hipster or intellectual and somber — it’s entirely up to you. You have all the freedom to express yourself. 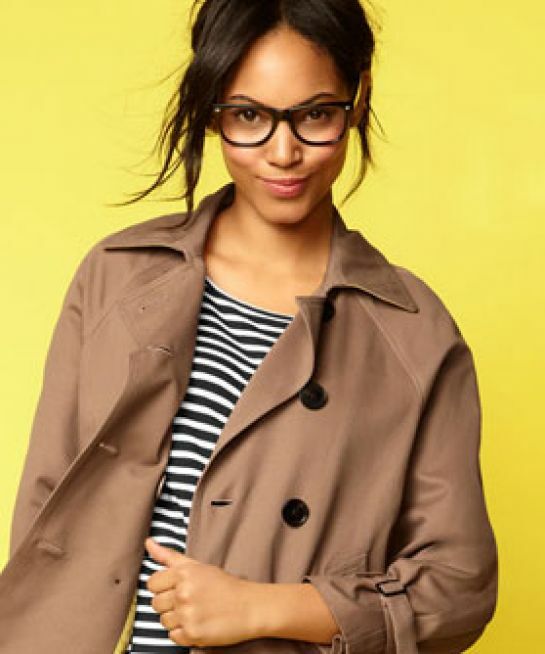 This is the best time for you to experiment with unconventional frame styles; and because the frames you wear so heavily affect how we are perceived, you may even want to reserve a certain frames for your internship or the important class presentation, and another for when you’re going out on the town on a Saturday night. Check out these eyewear designs for college students and young adults for men and women. These frames scream “I like playing D&D and watching improv comedy but also getting turnt and dancing all night”. For the introverted male: these frames tell the world you enjoy a good book and a hot cup of tea in your free time. This type of frame is a popular choice among women fond of spoken word poetry and watching live bands. An ideal pair of glasses for the woman who wants the world to know she’s career-oriented but still knows how to have fun and relax. The right eye glasses can help you build trust and confidence among your colleagues and business clients. For serious entrepreneurs and business people, it’s advised to wear glasses with conservative frame shapes and colors. Colors like gold, brown, silver, gray and black are good colors for your frames. Use classic shapes such as rectangles, ovals, and almonds. You can also opt for stainless steel and titanium frames. For men, brown, black, silver and gun metal frames are good choices. These colors are easy and conservative. They easily pair with business outfits. Colors such as the golden tone, brown, burgundy, silver, black and expresso are a good choice for women. Classic tortoise patterns are also a good selection for both men and women. They easily blend well with business attires. For a variety of business oriented frames, check out our men's styles and women's styles. Busy moms and dads have little to no time to catch up with the latest trends in eyewear. A basic pair of glasses with styled frames works best. Unless you work in a high-profile, public position you’re colleagues will understand if your eyewear is slightly out of date. And, if you’re at home taking care of the kids, hardly anyone will notice your frames anyway. Perhaps, the only reasons to update your frames if you’re busy rearing children are personal —maybe you just really need to treat yourself and you may as well update your look — or if you want your kid’s friends to see you as the “cool parent”. Really, the sky’s the limit here, and you may in fact have more freedom to be quirky and unique than even our young academics mentioned previously! When it comes down to it, it matters less what stage you are in life and more how you want to present yourself to the world. This guide is just that: a guide. You should feel free to pick whatever frames make you feel the most comfortable. Feel like you could use a bit more advice on choosing the best frames for you? Go ahead and check out our other guide on choosing the right frames for your face shape or schedule a free consultation and let our experts give you advice drawn from years of experience consulting patients from every walk of life. When it comes to looking good in glasses, it isn’t all about owning the most stylish frames of the moment, in fact it’s not that difficult at all to look stunning in even a simple pair of frames —if the frames fit. If they fit your face shape, that is. Eye glasses that compliment your face shape draw attention to your best features and away from your less-than-great features, adding an extra touch of gorgeous that can make a world of difference in your look. Your face shape plays a critical role when it comes to the kind of frames you look best in; different styles of frames will go better or worse with different face shapes. Unless you have very prominent features, figuring this out may not be as easy as looking in the mirror or taking a selfie and taking a look at your face…upon first glance, most faces simply look face shaped. Never fear, we’ve prepared a handy guide to help you figure out your face shape. Step 1: Find the widest part of your face. Forehead: A wider forehead will usually give you an oval face shape, particularly if the width of your forehead tapers gradually towards your chin. Cheekbones: A face widest at the cheekbones is typically of a round face shape, but how long a face is also plays into the overall shape of a face with wide cheekbones. With wide cheekbones, you can be sure you’ve got a round face shape if your face’s length and width are approximately equal. Jaw: If the widest part of your face is your jaw, you likely have a square face shape. In square faces, the forehead, cheeks, and jawline all have almost equal widths. Step 2: Describe the shape of your jaw. Round: A round jaw is, unsurprisingly, often a sign that you have a round face shape. If you have a round jaw, with a face equally as long as it is wide, you can confidently know you’ve got a round face shape. If your face is noticeably longer than it is wide you might have an oval face shape. Square: A strong, defined jawline makes a face look more squarish. If you have an a strong jaw line, that is not pointed, then you have a square face shape. Pointy: A wider forehead or cheekbones and a noticeably narrow, pointed chin almost always mean that you have a heart shaped face. Figured out you have a square or heart shaped face? 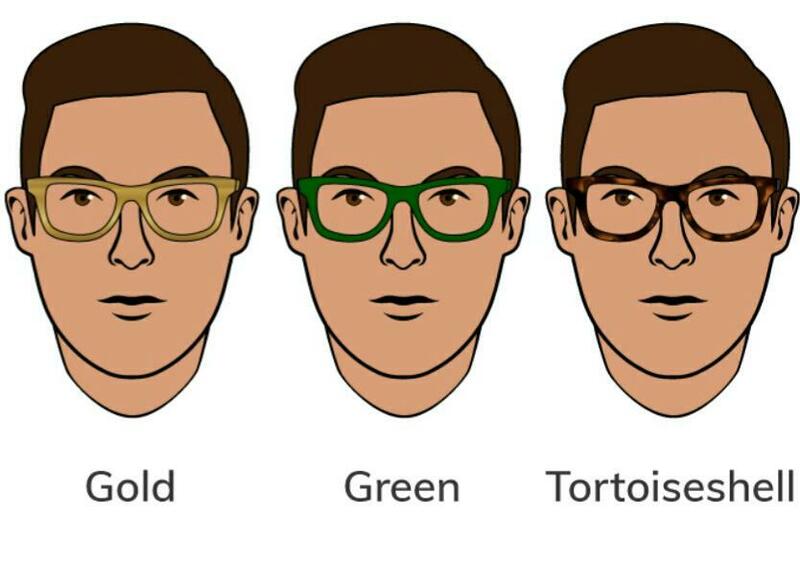 Skip on ahead to our face shape frames guide. Step 3: How long is your face? Short: All signs point toward the round face shape. Long: If you haven't already figured it out, if you’ve gotten this far you probably have an oval face. No matter what your face shape, there frames that bring out the best in each. Knowing your own face shape will make it that much easier to make the right choice. Now that you have the shape of your face, read on below about these types of face shapes and the best eyeglasses that compliment each of them. Oval-shaped faces are easy to recognize due to their well-balanced proportions, the height, width, chin and jaw of oval are all within average ranges of each other, making this the most common (and the most enviable) face shape of all. People with oval faces can usually experiment with all sorts of glasses, and even hairstyles. For Him: Frames that are broader than the widest part of your face work best. Avoid frames that unbalance your proportions.Your eyes should sit in the center of the frames, neither too high nor too low. For Her: Oval face-shaped women can wear a pair of wide eye glasses frames to compliment and accentuate the natural symmetry of an oval face. Glasses with walnut shaped frames that are neither deep nor narrow work best. Square faces are slightly wider than they are tall, with a strong, sculpted jaw. A square face shape is usually made of a broad forehead and a strong jaw, with the width and the length of the face being roughly equal. Some people with this lean facial symmetry can also have long or rounded square face shapes. For Him: Frames with softer, rounded or minimal lines work best on your chiseled, square face. Oval or circular frames offer a nice contrast, but nearly rimless horizontal frames can help too by playing up your strong features. For Her: Narrowly framed glasses with narrow ovals and more width than length make the best glasses for square face-shaped people. These frames make the square face look longer and most importantly, they flawlessly smooth the angles of the face. Round faces have curved lines with equal widths and lengths that are in the same proportion; a round face shape will usually have plump cheeks and a curved chin. Proportionally, these faces are wider than they are tall, with a gentle jaw. 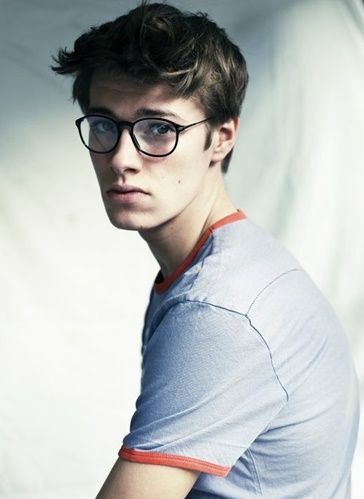 For Him: Slightly angular and boxy frames will help add length to a round face. You can slim down your face by using frames with high temples. Square-ish frames are fine, but avoid anything with overly harsh lines that will only emphasize roundness. 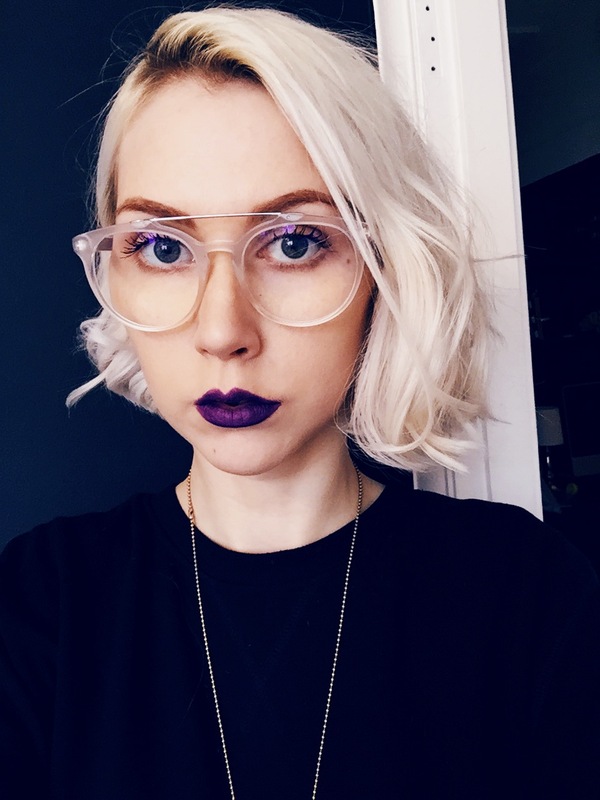 For Her: The best glasses for round face-shaped people either lengthen the appearance of the face to make it look more like an oval, or compliment the natural face’s natural curves, Use angular narrow frames to further lengthen a round face, or compliment it instead with wide rectangular frames. Heart-shaped faces are wider at the forehead, sweeping down into a pointed chin. Some heart faces can be long, others may be rounded. For Him: Rounder frames will balance your wider forehead. 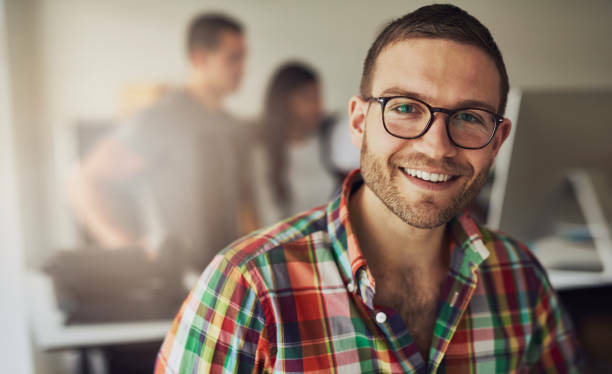 Because this shape can be difficult for men to complement with frames, you might want to consider rimless glasses, instead. For Her: To reduce the width of the top a heart-shaped face, glasses with frames that are wider at the bottom are essential. You can also use thin, light-colored frames to compliment your heart-shaped face. When you're selecting eyeglasses, there are other factors that also determine the type of frames you will need for your glasses - your skin tone, hair color, and eye color play a vital role in the selection too. Besides your face shape, eyeglasses should also compliment your eyes, hair, and face. Skin tones are usually categorized as either warm or cold regardless of the color of the skin. A cool complexion has pink or blue undertones while a warm complexion has a cream or yellow cast. Eye colors are key elements when it comes to determining your eyeglass color. a good example is the blue eyes that can go well with a pale blue-gray color which is warm and almost-violet color which is cool. On the other hand, brown eyes can vary from cool almost black to light cider shade which is warm. Hair colors can also be categorized into warm and cool colors. Cool colors are white, platinum, auburn, ash brown, blue-black, and strawberry blonde. The warm colors include brownish black, golden blond, brown-gold and dirty gray. Once you have established if your "cool" or "warm," then now you can go ahead and find the eyeglass frames that best style your face shape from the colors that suit you. Here some examples of eyeglass frame colors. I hope we have answered all your eye wear styling questions in this guide. If we missed anything you urgently need to know, let us know in the comments, and we’ll get right back to you. Now you can confidently shop for frames knowing that you are going to kill in your new pair of glasses. It all starts with your face shape, then your skin tone and eye color. 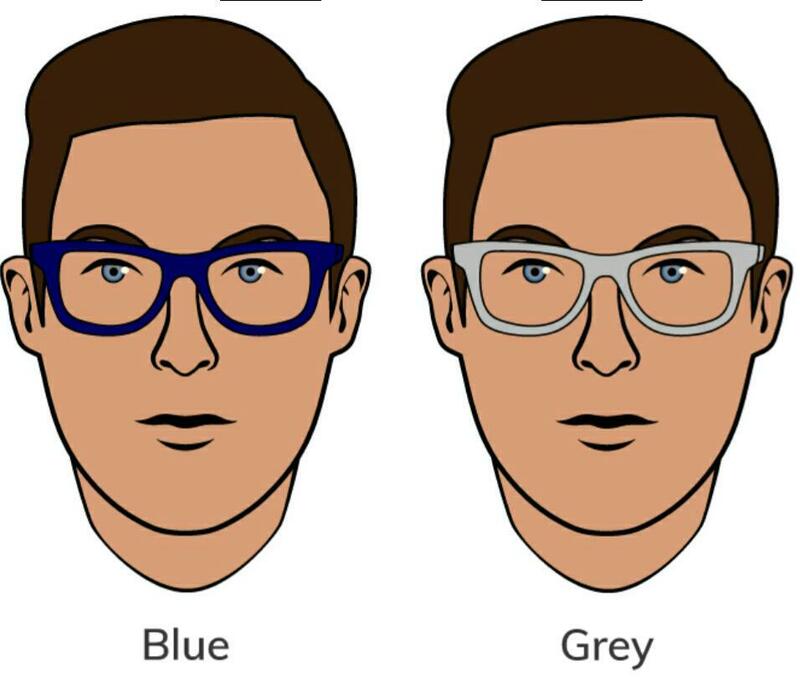 Once you establish these three, you should be able to get a slick pair of eyeglasses that compliment your face effortlessly. Thanks to the popularity of the many actresses and actors with glasses, today eyeglasses have become more common than ever. The many famous people who wear glasses and modern advances in technology have made it glasses more just a vision necessity, but a way to display our unique personalities.